The Regulator is the next evolution in the Liberty Suppressors, forward thinking line of rimfire suppressors. We have attained new levels of suppression and first round pop reduction, setting the standard by which all others will be measured. The weight, as well as the awesome levels of suppression, make this the natural choice in a rimfire suppressor. 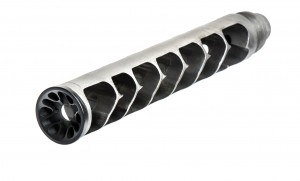 This suppressor has all the features you would associate with an upper echelon rimfire suppressor.